The blog post also points gamers toward the all-new Steam Workshop blog that is designed to better serve the growing needs of the Steam Workshop as it expands to accommodate more titles and different types of content. The blog will be used to announce new Workshop titles, explain new features and highlight user-submitted work. Additionally, the final “Meet the Team” short is scheduled to arrive sometime later this year. “Meet the Pyro” is said to be an extremely bloody affair from start to finish. If you haven’t checked out the other eight shorts yet, you can do so over at the Team Fortress 2 movies page. 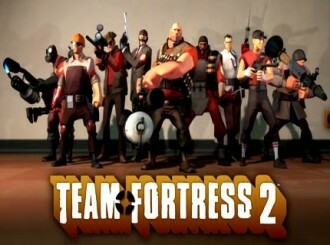 Team Fortress 2 was originally released in October 2007 as part of The Orange Box compilation in stores that also included Half-Life 2 and Portal and as a standalone product via Steam. The team-based first-person shooter was also released on the Xbox 360 and PlayStation 3 but the PC title remained the most popular and most frequently updated. The modding community really took to the game and Valve has even released free updates containing community-created levels, hats and weapons. On June 23, 2011, Valve announced that TF2 would become a free-to-play game. As such, the core game would be free to download and play but gamers had to pay for unique character accessories and upgrades. According to Gamespot, this resulted in a five-fold user base increase.